The travel industry is barren without the brigade of suppliers requisite in travelling and related activities. We are glad to have a list of the most trusted, valued and experienced suppliers associated with us, so that we can offer B2B and B2C services to clients through their optimum services. 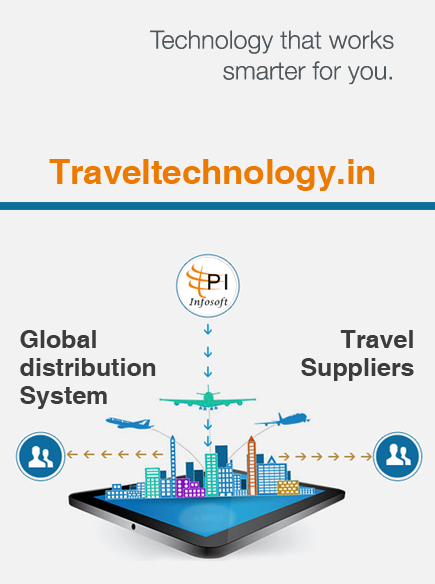 Travel Boutique Online API offers a solution to the small and medium level travel agents. They provide customised catalogue of flights from a sea of airline sector for your customers. Cleartrip has been engaged in offering true value mobile and desktop solutions all over the travel world spread in the globe. They make the allusive travel world easier to access with their integrated tools. The TBO Holidays portal facilitates travel agents across the globe to book hotels effortlessly and efficiently. It has a strong presence in more than 33 countries around the world. It is an ever expanding business of TBO, which make the association with them valuable. Accessible to almost 7500 travel agents spread across the globe. GRN is a vast network of hotel inventory, giving out the best and most suitable options always. It has such in depth connections across the world, that it is easy to work in the travel world if you have a association to GRN. They are a customer centric motivated team of professionals. With selected wide range of hoteliers enlisted for the travel agencies and agents. They make travelling easy and comfortable. Bus ticket booking is no longer done by being stuck in queue. All you need to have is the extensive network of TBO and the quality listing of bus management system they deliver. From new booking, cancelling previous ones, credit note que everything sorted in some steps for better accessibility by them. RedBus do not need an introduction, the bus service management system they have is the top notch in the industry. The redBus is the part of the popular ibibo group which itself is a brand name in the online travel industry of India, they have a network of hotels and air aggregator owned and operated by them as sister ventures. PayU India is a popular payment gateway dealing through PayU. The PayU application is easy to handle with all Visa cards, debit cards and Mastercard credit cards comfortably operational by it. They make payment easier with any associated banks. It is a convenient platform of payment, it proved its worth during issue of cash crunch in the nation. It is now the noted and most worthy mobile payment plus commerce platform. It is a renowned consumer brand of One97 Communications. The payment gateway provided by the HDFC bank has all sorts of technological infrastructure, credit facilities, system capabilities and expertise in one place, it is a hassle free web payment gateway. ICICI merchant service is an association of ICICI Bank and First Data, The First Data is a global leader when it comes to payment technology and related services solutions. It is one of the most promising payment gateway especially for travel venture. It is preferred for all sorts of online payments for its transparent pricing and quick integration. It is chosen by the agents because of basic and simple documentation required for registration. TechProcess Payment Services Ltd is one of the prominent electronic payments firm. It is the priority of the company to offer an updated version of payment system anytime, anywhere. E- billing solutions helps the merchant in collection of payment from the end customers via net banking, credit and debit cards, etc. It assembles the variety of payment options put up by the online platforms. There are other payment processors also set into a major window using least technical integration. They are the connecting point of the customers and the digital space. They create a virtual space for SMS interaction within the integrated system for better quality of message transfer in minimal time to maximum reach. If you want to inform the target audience with transactional SMS, MSG 91 is your deal. It is a perfect technological breakthrough. The advantage of transactional bulk SMS is that they can be sent anytime from anywhere just by your sender ID. Send Grid has SMTP relay setup plus the flexible Web and SMTP APIs which enable them to provide a perfect customizable integration mechanism for the bulk transactional email.